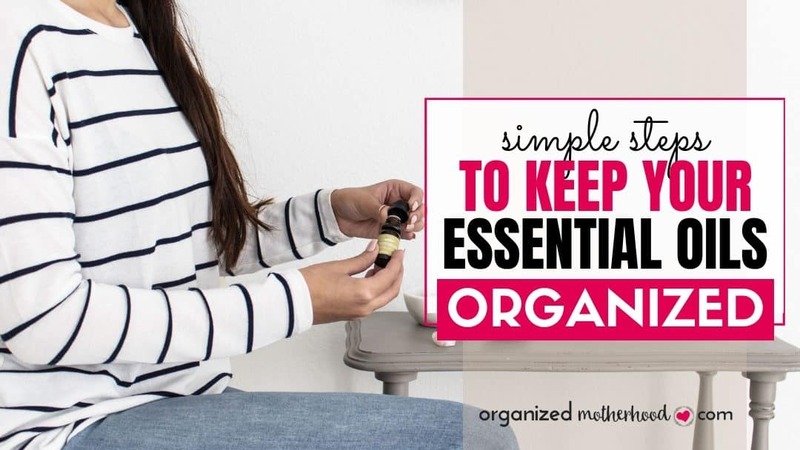 Whether you’re just starting to use essential oils or you have an entire collection in every room of your house (and your purse), keeping your essential oils organized can be a challenge. Here’s how to organize your essential oils so that you don’t order duplicates, forget that you already own an oil, or let them take over your entire house. 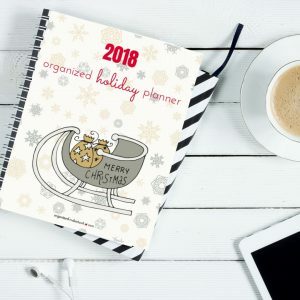 I don’t agree with everything that Marie Kondo, the decluttering guru, says, but one of the first tasks in the Kon-Mari decluttering method is to gather all items together. Sometimes that’s easier said than done, but in the case of essential oils, it’s helpful to see what you already have, what you’ve used, and what you still need to have a well-rounded collection of oils. Start organizing your essential oils by putting all oils together. If you cook with oils, don’t forget to gather your vitality oils. 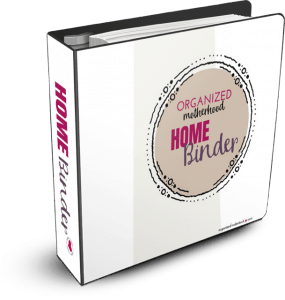 Also, gather your rollerball oils, carrier oils, and cleaning oils in one place. Once you have your oils together, label the tops so you can easily see which oils you need at a glance. I use the oil labels from Young Living, which fit perfectly on the tops of my oil caps, but you could print your own or use these labels. You could also use an ultra-fine tipped Sharpie if you write small. Once you’ve gathered and labeled your oils, make note of what you already have. 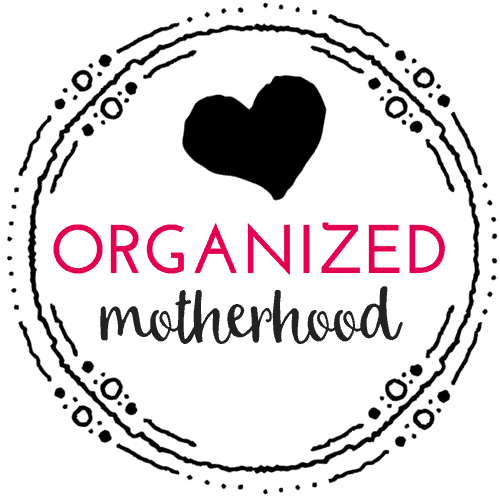 I use this checklist to keep my oils organized (and prevent myself from buying multiples). As you add to your essential oil collection, check them off in pencil. Once I’ve used an oil, I erase the checkmark so that I can easily see what I still need to order. Keep your inventory list with your oils (I even store mine with a pencil) for easy use. Once you’ve taken inventory, start to declutter your oils. If you have empty (or almost empty) bottles, reuse them. One way to reuse empty essential oil bottles is to make your own rollerball blends. Making your own DIY rollerballs is a great way to save money on your favorite blends, and it’s a fun way to use the last few drops of an oil. Add a carrier oil to fill the bottle (I like to use this jojoba oil in rollerballs). When filling a rollerball, use one drop of essential oil for every mL of carrier oil. To make a rollerball for kids, use one drop of oil for every five mL of carrier oil. For example, to fill a 10 mL bottle, use 10 drops of oil and fill the bottle with oil. Add two drops of oil and fill a 10 mL bottle with carrier oil if you plan to use it on children. Once you’ve filled the bottle, add a rollerball top. These rollerball tops fit perfectly on Young Living bottles. There are several different ways to organize essential oils, depending on how you use them. You could alphabatize them or group like oils together. For example, I keep vitality oils in my kitchen for easy use when I’m cooking, but I store the rest of my oils together. To group your oils together, I’ve used everything from an old box to a carrying case designed for oils (this carrying case comes with labels). If you want to display your oils, hang a nail polish holder on the wall or use a spinning makeup organizer so you can easily find your oils. 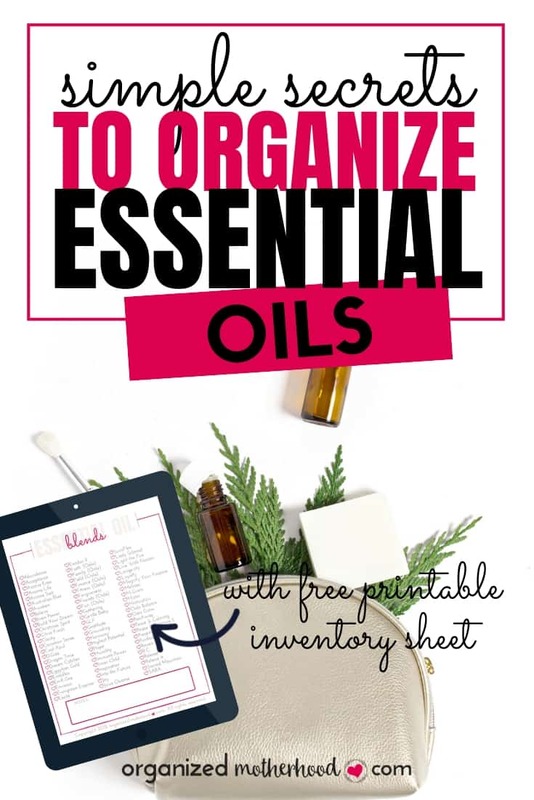 Whether you have an essential oils business or just use them for your own purposes, organizing your essential oils is a great way to save money on oils by ordering only the oils that you need. It’s also helpful so that you don’t spill or break oils when you open your cupboard!